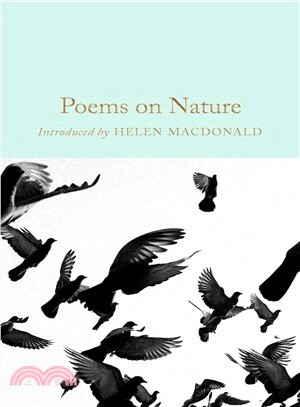 The poems in Poems on Nature are divided into spring, summer, autumn and winter to reflect in verse the changes of the seasons and the passing of time. Part of the Macmillan Collector’s Library, a series of stunning, clothbound, pocket-sized classics with gold-foiled edges and ribbon markers. These beautiful books make perfect gifts or a treat for any book lover. This edition features an introduction by Helen Macdonald, author of the international bestseller, H is for Hawk. Since poetry began, there have been poems about nature; it’s a complex subject which has inspired some of the most beautiful poetry ever written. Poets from Andrew Marvell to W. B. Yeats to Emily Brontë have sought to describe the natural environment and our relationship with it. There is also a rich tradition of songs and rhymes, such as ’Scarborough Fair’, that hark back to a rural way of life which may now be lost, but is brought back to life in the lyrical verses included in this collection.